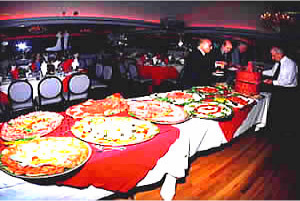 Pizza, Italian Cuisine — The Appian Way is the perfect setting for all your memorable events. 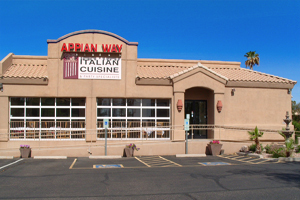 Since 1975, the Appian Way has been providing the freshest and finest Italian cuisine wrapped around a friendly atmosphere and attentive staff. Join them every day from 4PM till closing to experience for yourself first hand why the Appian Way is the finest in catering services and fine Italian dining. Their graciously designed banquet rooms can accommodate a guest list from 20 to 300 people. Whether its dinner for two or a reception for 300. Head this way for excellent Italian-American cuisine at modest prices along with the care and comfort you deserve. Whatever the occasion, our facilities can accommodate your every need. Their party menus are designed to fit any budget, and their family personally supervises every aspect of the occasion – from the preparing of the freshest and finest foods – to the planning of every detail of your special event.